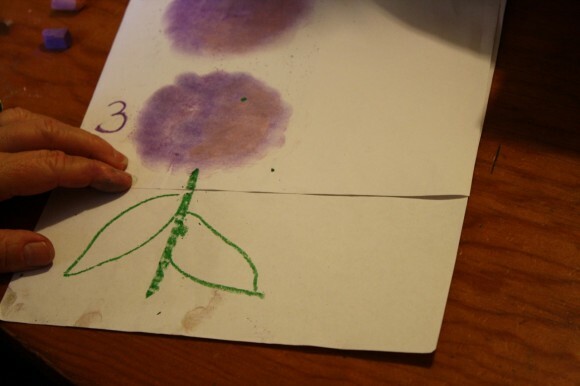 Ever since our heavenly hydrangeas nature study last month we’ve been thinking about a hydrangea pastel lesson. And every time we admire the hydrangeas by the front door, the deep blues in the side yard. The range of colors in our yard this year is simply beautiful. 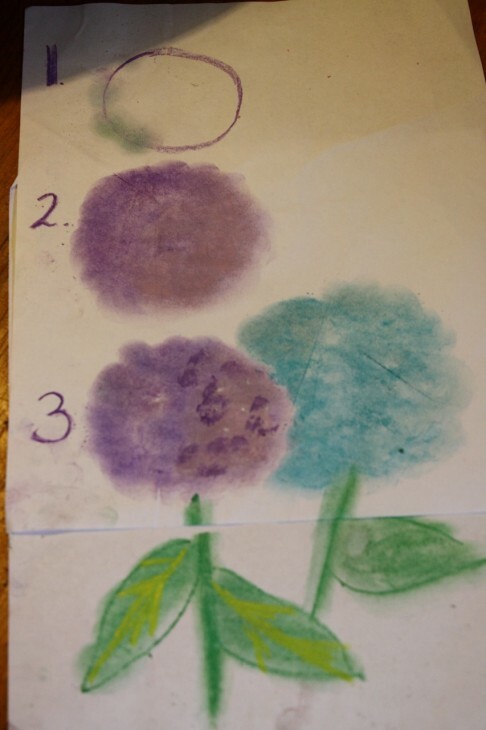 So, for a pastel lesson, you too can make your hydrangea any color you’d like. 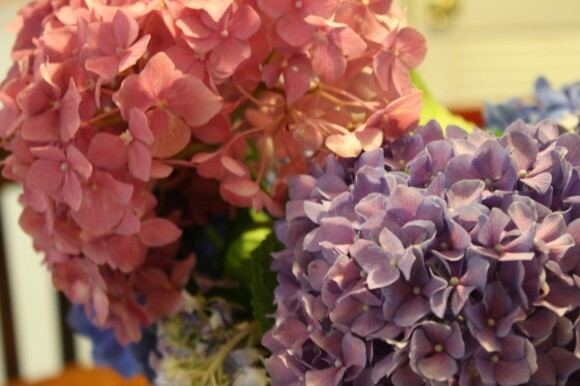 Pick your hydrangea color. 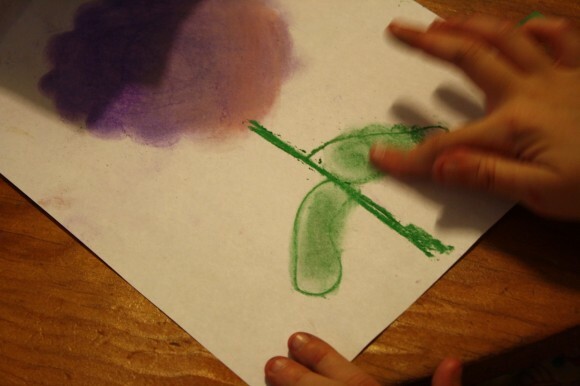 Then draw a nice circle. This will be the base for your bunch of miniature blossoms. Fill in the circle some with your color. 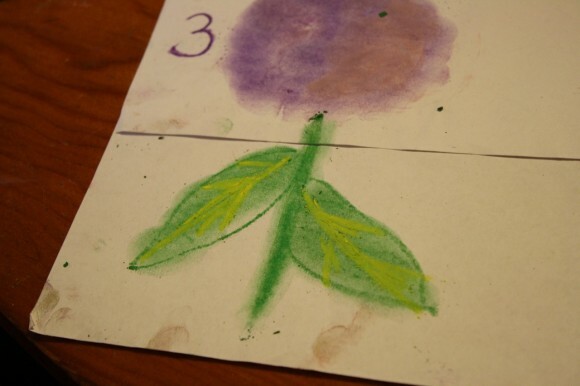 From the circle, use your finger to create the definition of the smaller flowers. A blur. 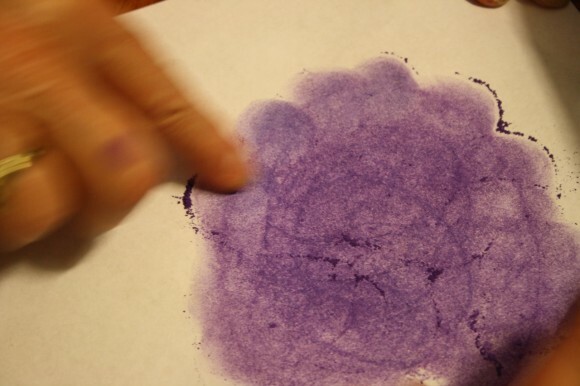 Blend away the circle and make your hydrangea soft. But you have some definition of separate little flowers around the outside. You can even add a touch of pink. Now you are ready for your leaves. See how they tend to hang down a bit? Next, fill in your leaves and then blend. The veins of the leaves you highlight with yellow. Isn’t that pretty? …by putting in some dark spots of shadow. 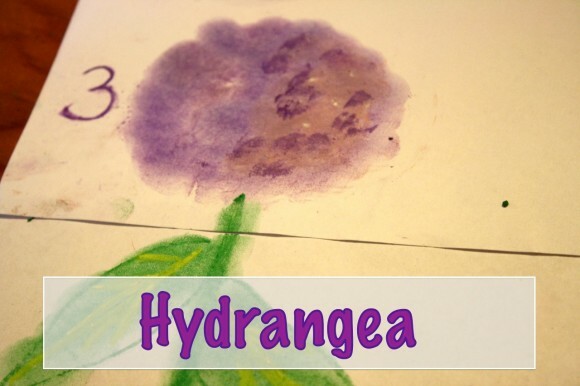 You might even decide to pull out another color and make another hydrangea! 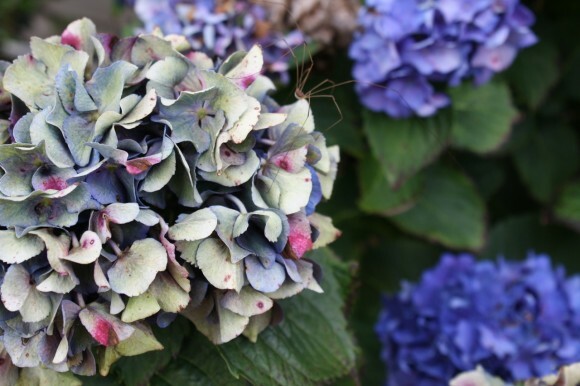 Do you have hydrangeas blooming in your yard? 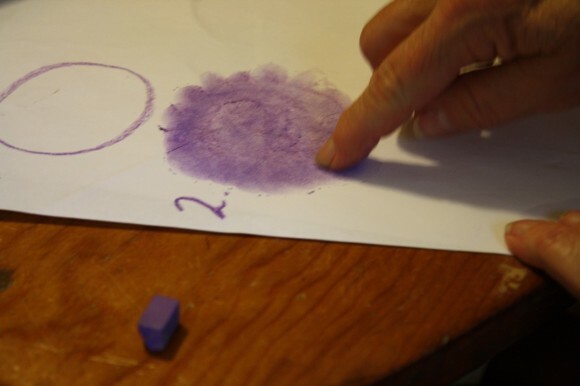 Just add chalk pastels and paper for a whole year of tutorials! 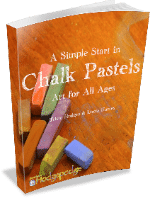 Use code CURRICULUM and get $5 off your purchase of A Simple Start in Chalk Pastels through 5/15. What lovely art! Grew up with loads of hydrangeas in our yard. They are so beautiful! Will have to send a link to this post for my mom to see. love your blog and your tweets too! One thing…tried to sign up to subscribe via email and got a message that said that it is not enabled on your blog…just FYI, as I would love to get your posts via email. Oh, Trisha! Katie is going to love this one because hydrangeas are her favorite flowers! Thank you SO much for posting these tutorials. I know they take time and effort. 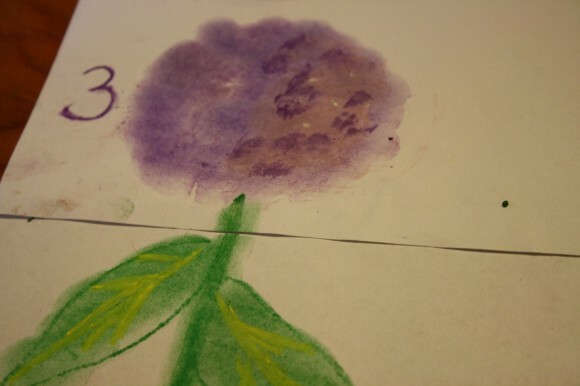 Phyllis and Alea – I can’t wait to see/hear about your hydrangea pastels! 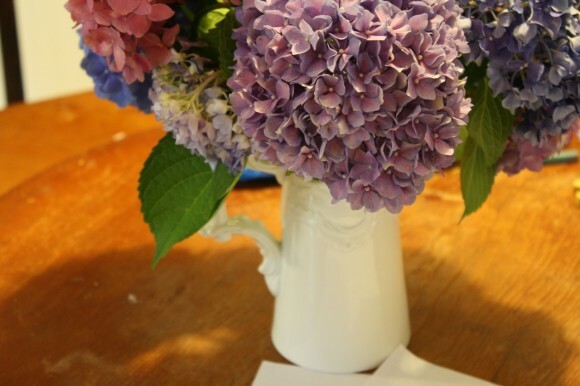 And, yes, Alea – a perfect excuse for a huge arrangement of hydrangeas – or a plant? I’m still enjoying my Mother’s Day hydrangeas from years ago. 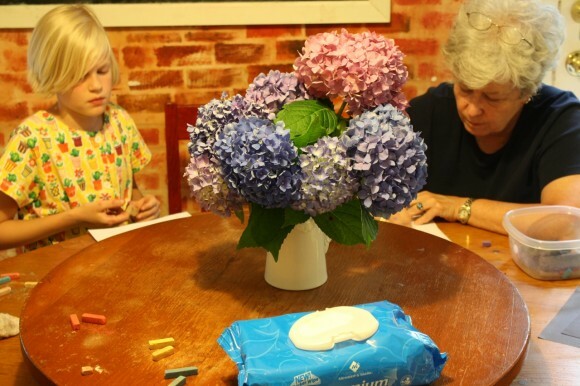 Hydrangeas…my dear son’s obsession as of late! 🙂 I’m so blessed to find this!!!! Thank you so much for all of your wonderful tutorials. 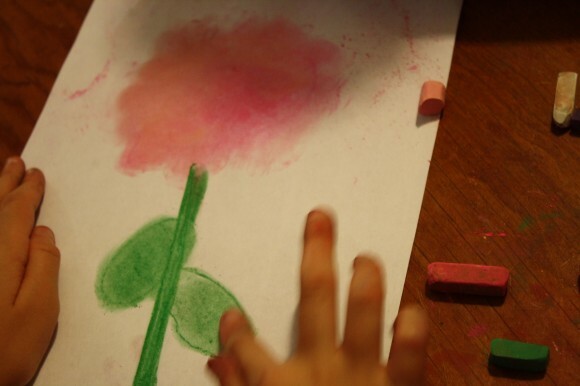 I cannot wait to get my son and I started on pastel art. Your blog is a blessing! Oh hooray Shannon!! Hydrangeas are truly one of my very favorites – can’t wait until ours start blooming in a few weeks. High five to your son. Thanks so much for your sweet comment. Enjoy!